As President Trump delivers on his campaign promise to crack down on unauthorized immigrants, the private prison business is booming. Immigration and Customs Enforcement says border apprehensions are down by 30 percent – so why is the federal government expanding detention facilities? Data obtained by the Houston Chronicle shows interior immigration arrests are up by 10 percent from last year. Fear in immigrant communities is at an all-time high. In January of this year, ICE agents picked up 675 immigrants in a highly publicized nationwide round-up. Data obtained by the Washington Post found more than half of the immigrants picked up had either traffic convictions or no previous criminal record. To house the increase of detainees, the Trump administration is proposing raising Immigration and Custom Enforcement’s budget by 1.6 billion dollars so it can boost the number of detention beds by 17,000. Craig Doyal is the Montgomery County judge. He says the expansion will generate 300 jobs. In April, the private prison company GEO group was awarded a 110 million dollar contract to expand its detention center in Montgomery County, the Joe Corley Immigration Detention Facility. Carlos Sanchez is also thinking about jobs. He’s the CEO of the local Hispanic Business Chamber. He says a lot of the work in the detention center – like building it- will be contracted out. And he wouldn’t be surprised if some of those companies might hire illegal workers. “Somebody is going to have to manage it, somebody is going to have to landscape it somebody is going to have to throw the garbage or you know all these things all the services that come with having a facility that size will be managed and dealt with by not only Americans but also non-Americans,” Sanchez says. The Geo Group said in a statement that the new complex will generate 44 million dollars in profits annually. For the record, Geo declined my request for an interview many, many times. But I wanted to understand just how detaining people could be a profitable business. I mean, the GEO group and its competitor, Core Civic, are publicly traded companies – you can buy stock in them right now. I’m looking at GEO’s stock right now and it’s more than tripled since election day. I wanted to talk to someone who has been detained at one of the more than dozen immigration facilities operated by the GEO group. Reyna is an asylum-seeker from El Salvador who was recently detained at Joe Corley – the immigration detention in Conroe that’s set to expand. Immigration detention is a business, she says. And the private prison company is running a lean operation. Immigrants, many detained for working for American companies illegally, work inside the detention center to cook and keep it clean. Reyna didn’t work, but she says at Joe Corley, some of her cell mates worked 12 hours shifts in the kitchen for 3 dollars a day. The food was terrible, she says, and if you wanted to buy something at the commissary, the prices were jacked up. For example, she says a packet of instant coffee costs almost 5 dollars. Reyna also told me that medical care was severely lacking, but I can’t independently confirm that. GEO turned down my interview requests and didn’t respond to my requests to tour the facility. So is GEO skimping on how much they spend on detainees to maximize their profits? I don’t know. The incentives are certainly there, but it’s hard for me to independently confirm or deny what Rayna said when I can’t see anything – either the facilities or their budgets – with my own eyes. I went online to find out if any other detainees held in GEO facilities had made similar claims to Reyna, maybe on the record. A lot of the reports I found were attributed to anonymous sources – it makes sense, right? What immigrant in their right mind would go on the record right now? What reporter would let them? But someone was willing to go on the record with me – a lawyer. Hans Meyer. “GEO is making an incredible amount of profit from taxpayers to hold people in detention,” Meyer says. Hans is bringing a class action lawsuit against the GEO group on behalf of detainees in its Aurora Colorado facility. “They’re making money off of taxpayers to detain people then they’re using the labor of the people who are detained by threatening them with solitary confinement or coercing them into working and not paying them a wage an hour for their work,” Meyer says. Hans couldn’t confirm the exact figures that Rayna told me about – 5 dollars for a pack of instant coffee for example – but he told me that they sounded right. His clients have told him similar things and the lawsuit he filed alleges serious labor abuses. “They don’t have to pay cooks they don’t have to pay groundskeepers they don’t have to pay people to clean the facility. They use detainees to do that. And you know they threaten them if they don’t,” Meyer says. Hans also brought up something I hadn’t thought about. The GEO Group donated $225,000 to Donald Trump’s campaign. Then wrote an even bigger check to Trump’s inaugural committee kicking in a quarter of a million dollars. As an evangelical preacher, Rayna spend her days praying. She is waiting to make her case for asylum in front of an immigration court. Her husband is still being held at the Joe Corley facility, they couldn’t afford his bond. She’s worried about him because he has diabetes. But she says she doesn’t talk to him very often because phone calls cost 25 cents a minute. Do you know that feeling when a song moves you so much, you just feel like you have to add your own voice? 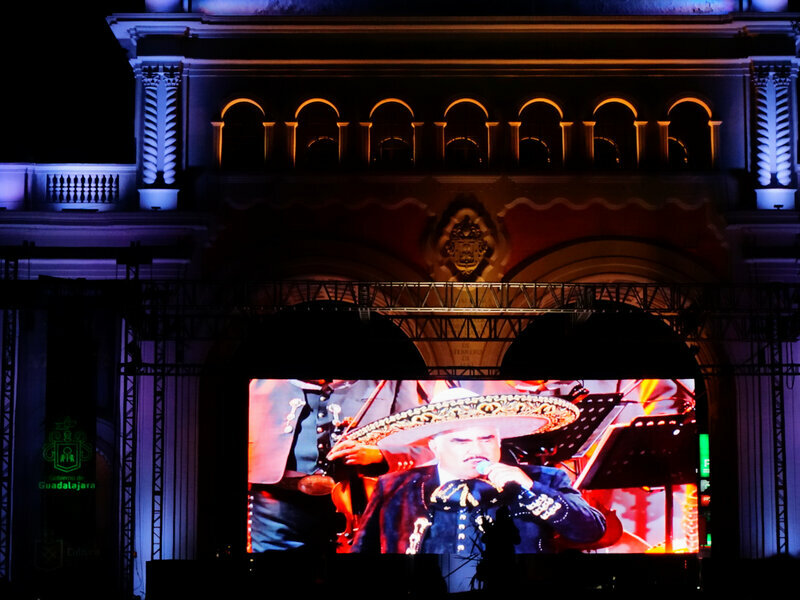 Mexican culture has an answer to that: a cathartic, joyous yell called a grito. Like lots of Mexican-American kids, Contreras and I grew up hearing the adults in our lives performing gritos when they listened to mariachi music at family barbecues, or cheering on friends and family at graduation. I am pretty sure I could identify my tíos and tías by their gritos, and many Mexican-American children begin finding their own grito voice early. 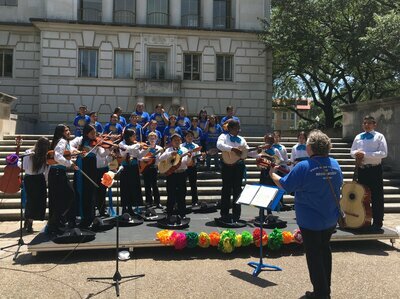 Like many schools in Texas, students at Perez Elementary school in Austin have the opportunity to learn and perform mariachi music. Their teacher, Angela Machado, is too busy teaching them chords and song lyrics to teach them gritos. “It is not part of the curriculum necessarily but I know a lot of them do already know how,” she says. Third graders Leo Garcia, Jose Jaimes, Mario Flores and Angelita Alivter Cardenas show me their gritos. They sound like lion cubs learning how to roar. If they want to keep working on their gritos, these kids may have a chance in college. Ezekiel Castro is a lecturer at the University of Texas Sarah and Ernest Butler School of Music. He is also director of the school’s mariachi ensemble and teaches about mariachi culture. The grito is an important part of that. Gritos aren’t just emotional; they’re political. One of Mexico’s founding fathers uttered the first documented grito in history when he declared the war for Mexican independence. The president of Mexico does a more formal grito every year on that anniversary, as Enrique Peña Nieto did in 2015. Laura Gutierrez teaches Mexican performance studies at the University of Texas. She says gritos are complex expressions. “They’re like small narrative capsules, without the narrative that are full of layers of emotion,” Gutierrez says. And belting out a greatgrito feels really good. “When you finally release the last gasp of air, there’s relief,” Gutierrez says. So Gonzalez teamed up with a developer friend and created the Grito App. “You scroll through the different sounds, each sound has its own screen. You can learn a little more about the grito, you can share the grito, you can save it to your videos and just kind of text it or email it around,” Gonzalez says. “By the time you hit your forties, Chente knew what he was talking about,” Contreras says. 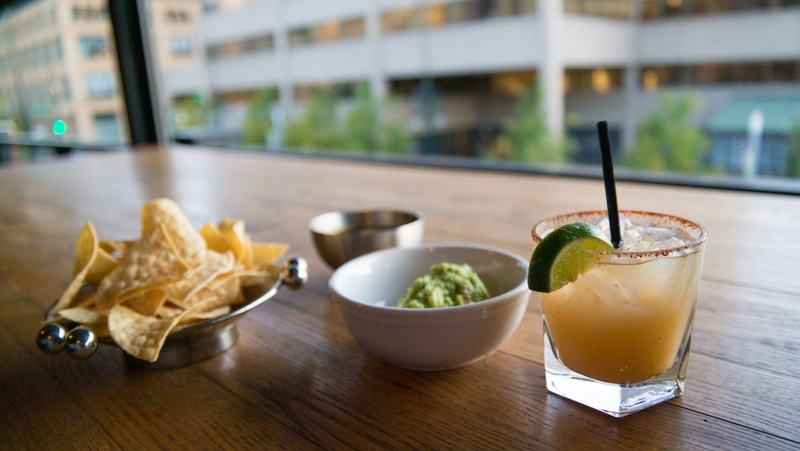 And you might feel inspired to try out your own grito. Get the full story on NPR’s Latino USA. In Texas, where half of all public school students are Latino, the State Board of Education (SBOE) is in the process of approving a new Mexican American studies textbook. The proposal for the textbook was approved two years ago after a petition for a separate curriculum for Mexican American studies was denied in 2010. “The official curriculum in the state of Texas underrepresents and misrepresents the historical presence of Mexican origin people in this country as well as women and African Americans,” said Emilio Zamora, a professor of Mexican American history at the University of Texas at Austin. That’s important, because Latino students who learn about their cultural history are more likely to graduate from high school, according to a University of Arizona study in 2015. In the United States, the dropout rate for Latinos is almost three times higher than it is for non-Latino whites. Only one textbook has since been submitted for review, but it has attracted scrutiny for its contentious handling of Mexican American history. Zamora fears that it will cause more harm than good. “It was very offensive that they would select people that are not trained or professional historians in the field of Mexican American history,” he said. The textbook has been submitted by a new company called Momentum Instruction. Cynthia Dunbar, a member of Momentum Instruction who also served on the SBOE in 2010, says her company hired authors who could review the history fairly. “They did not want a biased or a skewed viewpoint, they did not want liberally biased, but neither did they want conservatively biased. They wanted people who were willing to just go out and exhaustively review every side of the issue,” she said. Texans have until November to submit comments about the book, at which point a committee will review them and make recommendations to the SBOE. If recent history is any indication, it’s going to be a big fight. Out of all the people earning bachelor’s degrees in STEM subjects (science, technology, engineering and math), just eight percent are Latinos. That number shrinks even more when you look at the number of Latinas (female students). Alma Benitez was one of those Latinas trying to break into the STEM field, but she faced more obstacles than the prejudice she faced being a Latina: her family hid her college acceptance letters because they didn’t want her to leave home for college. With pressure from inside and outside the home, Alma found support in Latinitas, an after school club for Latinas in Texas that encourages young Latinas to get excited for science, with the hopes that they’ll grow up and pursue a career in STEM. Reporter Brenda Salinas gives us a glimpse at the particular struggle Latinas face in the world of STEM. She speaks with Alma about her struggle to pursue her dreams, and with Laura Donnelly, the founder of Latinitas, who’s also a Latina computer scientist. Will Siri Ever Speak Spanglish? Check out the full story on Latino USA. 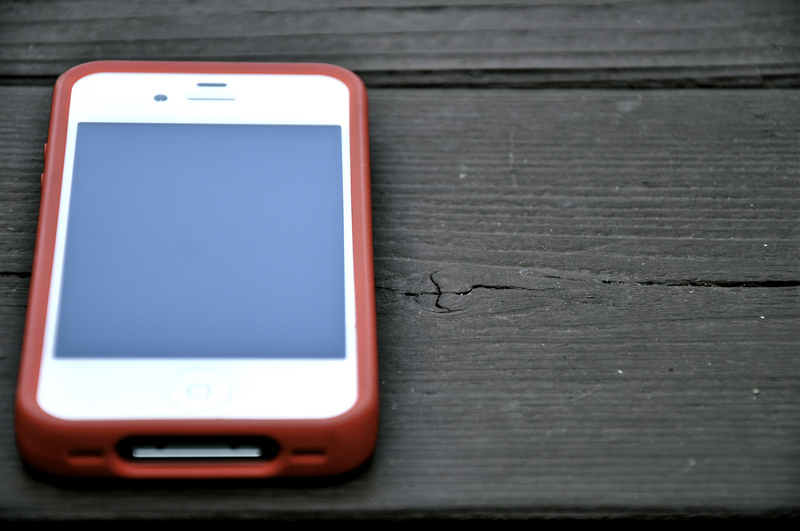 Mobile phone voice recognition programs like Siri and OK Google are all the rage these days. But when you try to talk to them in a mix of English and Spanish, the results can be confounding. When there is a disability or a difficult diagnosis in your family, the journey can be tough. Research suggests that for Latinos with disabilities, families play an important role in either helping or hurting someone’s ability to live successfully and independently. In this story, we meet one family confronting those challenges. Get the full story on Latino USA. Chris Fahey returned from war haunted by trauma. But he found an unlikely therapy—salsa dancing. And with it, he found a new family. One of Chris’ first salsa partners became his wife, and he now organizes salsa dancing events for veterans to have fun, meet new people and get away from the past. Why is lime flavor suddenly everywhere? Now it’s cucumber-lime flavored Gatorade at the 7Eleven, even a whole section of supposedly Latino-themed beers — all with lime. Fellow comedian Guillermo De Leon agreed. After the success of mayonesa, American brands realized there was a whole market of Mexicans and Central Americans who were ready for a hint of lime on almost any food product. “It’s a very cultural thing… it’s ingrained in the traditions. It’s very common to see lime at the table,” says Korzeny. And it’s a lucrative market: Last year Latino Americans spent $1.5 trillion on consumer products in the US. But Latino Americans are not the only consumers of lime flavoring, the whole country has hopped on board. The owner of the Austin 7Eleven can barely keep his lime products in stock. You’ve seen the headlines this month: “America’s Egg Shortage Threatens Austin’s Breakfast Taco Supply”, “Austin Restaurants Respond To National Egg Crisis”. But – wait a minute. We need to think through this clearly. Deep breaths. 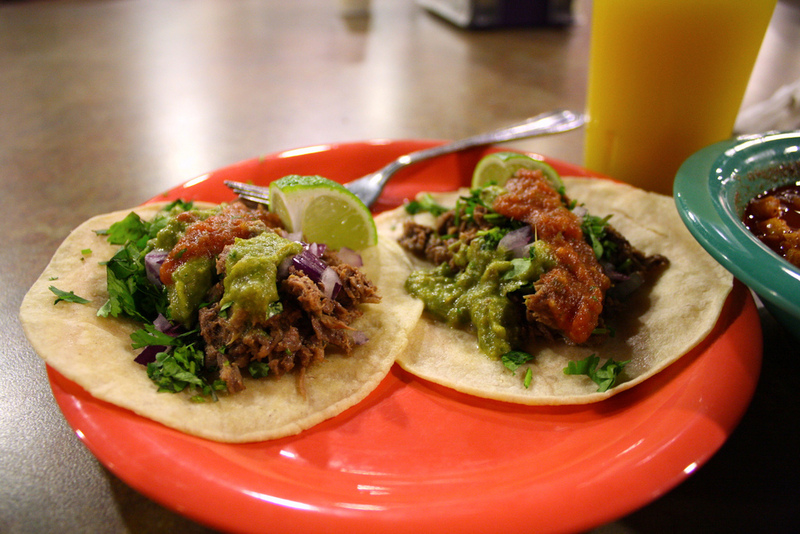 Not having eggs in your tacos isn’t a tragedy; this is an opportunity to branch out of your comfort zone. That’s what Mando Rayo says – he’s the author of a book called “Austin Breakfast Tacos.” He stopped by the Texas Standard to put us at ease. In your opinion, do breakfast tacos need eggs? Tweet @TexasStandard using #NotAllTacos and tell us what you think! Why Can’t My Iphone Speak Spanglish? A lot of Texans switch back and forth between English and Spanish effortlessly, without even thinking about it. But if you’re typing on an iPhone, switching between the language keyboards mid-sentence is a big hassle. With more and more multilingual users, why isn’t one of the top smartphones up to the task? Jennifer Kutz says she has some software that can help– it’s prediction keyboard called SwiftKey, that’s already on more than 250 million devices. “The difference with SwiftKey is you can literally just start typing in one language or another assuming they have the same layout on your keyboard and the keyboard will understand and detect what language you’re typing in and adjust what word is coming next,” Kutz says. Kutz says it takes some time for the keyboard to really adapt to the way the user speaks. But trying to get Siri – iPhone’s voice-to-text messenger– to work, is a whole other story. We spoke with Andrew Dillon, who teaches at the University of Texas School of Information, about why Siri isn’t better at this. “With speech, there is this assumption that only intelligent creatures and intelligent beings can talk, and very quickly when you speak to most computerized applications you find out pretty quickly that they’re not that intelligent,” Dillon says. What happens if you ask Siri why she doesn’t speak Spanglish? “I’ve never really thought about it,” Siri responds. John Roescher, a technology consultant in Austin, says Spanglish might not be too far off for our dear Siri. “I think it’s fair to say that would be easy, relatively easy to incorporate, the intelligence that you build into it it’s obviously easy to do it one language, or another language only one at a time, but it’s not impossible to do it for both,” Roescher says. So what’s stopping Siri? Roescher says that the failure in the tech industry is really a diversity issue, not at the programmer level, but with the higher-ups. “A company could benefit from having more diverse decisions, or more diverse champions, for these ideas in their organization to even have the inspiration to make a case like this,” Roescher says. If decision makers realized the market in the U.S. alone, for a bilingual operating system, the company could stand to make a lot of money. Almost 40 percent of Texans speak multiple languages, and a lot of us like to do it at the same time.